Trade your used video equipment for something new! Often times, trading is more beneficial than selling. Schools or larger companies have to default to the purchasing department when trying to purchase new equipment. Sometimes when you sell your equipment outright, the money goes into another department and you don’t get any of it for your new equipment. But when you trade, you get equipment you can use immediately. In addition, some agencies aren’t allowed sell, but they can trade. We are authorized dealers for SONY Professional Products, JVC and many other lines. If it’s something you want, and we’re not a dealer for it, we’ll find it and buy it for you. Do you want new gear but don’t have the extra cash to purchase it? 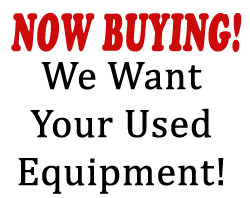 Does your organization not allow you to sell your used equipment? Why dispose of equipment that works just fine but you’re no longer using? Why not trade it for new gear? Don’t want the hassle of trying to sell your gear on eBay, Craigslist, or some other venue where you’ll have to do multiple transactions and deal with the general public, not to mention payment processing services taking their cut of the money, having to pack and ship odd sized and / or delicate equipment… who needs those hassles? If you have a lot of gear to dispose of we may possibly come to your location, take the gear away and give you the option to trade for different equipment that may be of more use to you. 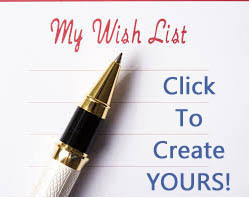 Fill out this form with what you have to get rid of and a list of what you would like to trade FOR and let us see what we can do for you. Please list any and all equipment that you would be interested in trading FOR.